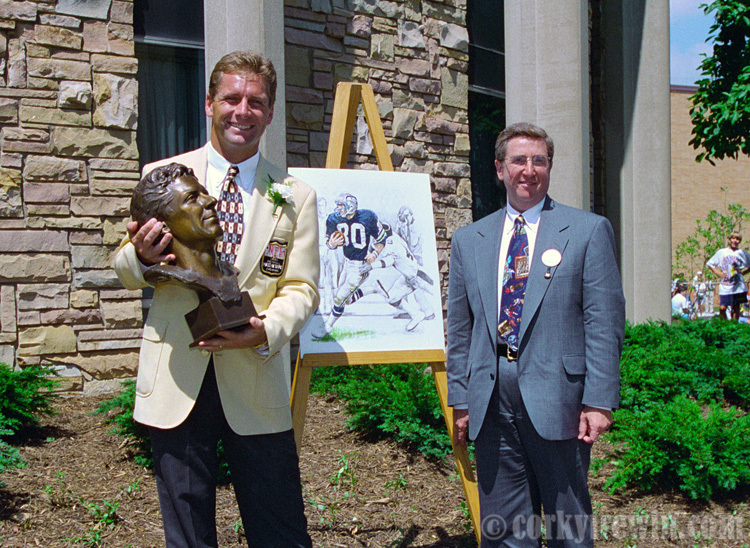 Seattle Seahawks wide receiver Steve Largent was enshrined into the NFL hall of Fame on July 29, 1995. He selected Seahawks Director of Public Relations Gary Wright as his presenter. This entry was posted in NFL, Seattle Seahawks, Sports and tagged Gary Wright, Hall of Fame, Steve Largent.